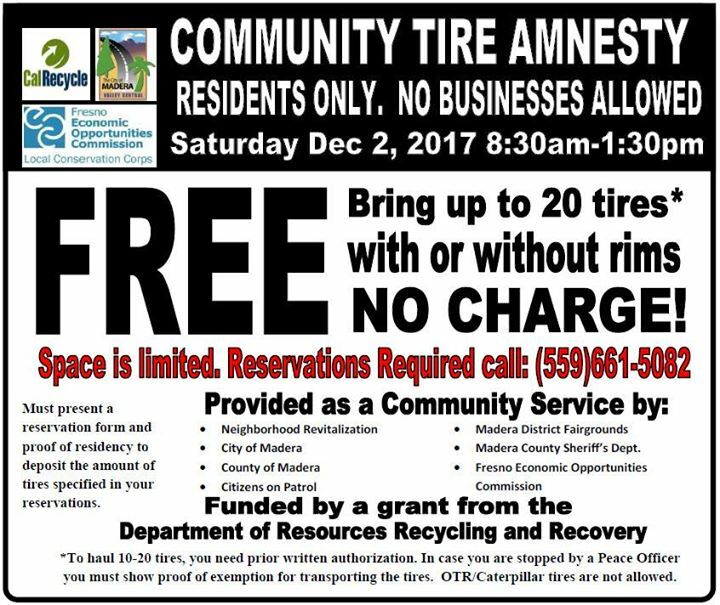 The waste tire amnesty event provides an opportunity for residents to clean-up their properties by disposing of their old tires at no charge. Bring up to 20 waste tires to be disposed of for FREE! PLEASE NOTE, YOU MUST RESERVE YOUR SPOT IN ADVANCE. For reservations, please call (559) 661-5082.